Thousands of households in South Sudan are receiving emergency food supplies from Caritas and other organisations, as food shortages and political instability become more severe across the country. ‘Our country is gripped by a humanitarian crisis – famine, insecurity and economic hardship,’ said the country’s Catholic bishops. With the lean season (May to August), difficulties in finding food are expected to increase, and the famine is expected to spread further in Unity State, in the north of the country. The Caritas network is funding 70 projects aimed at helping more than 480,000 South Sudanese. Much of the funding is being spent on emergency assistance programmes. Although South Sudan may be one of the most prominent of those affected in the East Africa region, this major humanitarian emergency continues to worsen in Kenya, Ethiopia, Somalia and now Uganda. More than one million South Sudanese have fled the civil war; 900,000 of them to seek safety in Uganda where the world’s largest refugee camp– Bid Bidi – has been established. Caritas is in Bidi Bidi distributing emergency supplies and tools and vegetable seeds to families to grow crops. Other East African countries in crisis have been affected more by drought than conflict. 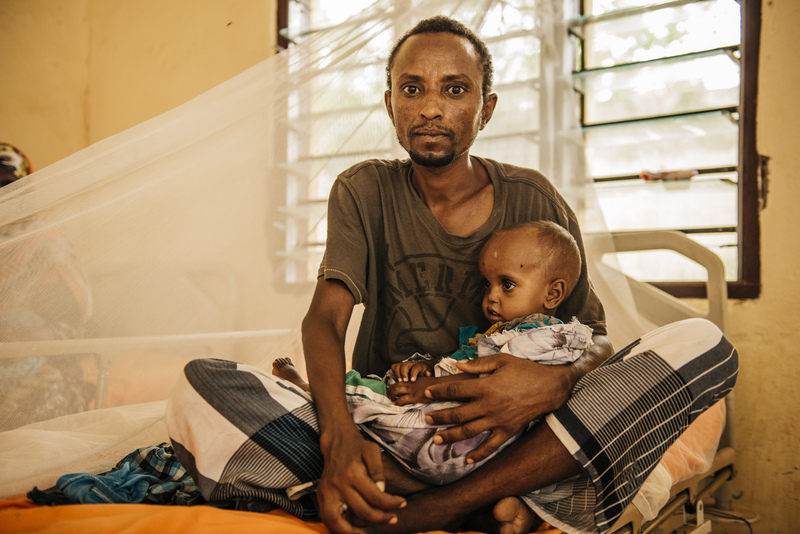 In Somalia, 6 million people (half the population) need food, and cholera is in some areas. Caritas is working to feed people and treat those succumbing to the disease to stop further outbreaks and prevent another famine in the region. While Caritas Aotearoa New Zealand is focusing on responding to the crises in South Sudan and Kenya in particular, the Caritas network is responding across the region in all countries affected by what the UN is calling the worst humanitarian crisis since World War II. All donations New Zealand made to the East Africa Crisis Appeal will be doubled, thanks to matched funding received from the New Zealand Aid Programme.